But Parks took a different approach with his photography and challenged bigots to second-guess the impact of segregation in the Jim Crow South, said Rhona Hoffman, director and owner of a North Side art gallery. Parks’ “Segregation Story,” a series of photographs that was first published in Life magazine in 1956, is now on display at the Rhona Hoffman Gallery. The photos helped Parks’ career flourish during the Civil Rights Movement and are on display until Feb. 20. When Parks’ series was published, it was controversial because it forced people to view segregation and racial inequality from a different perspective, as it was largely meant to educate and not reprimand, Hoffman said. Parks, who died in 2006, is best known for his iconic photography of black Americans but was also a musician and writer. Hoffman said her goal is for people to visit the exhibition so they can gain a clear understanding of what poverty was like in the rural South for black Americans in the ‘50s and ‘60s. One of Parks’ photographs in the exhibit, titled “Outside Looking in,” perfectly supports her point. 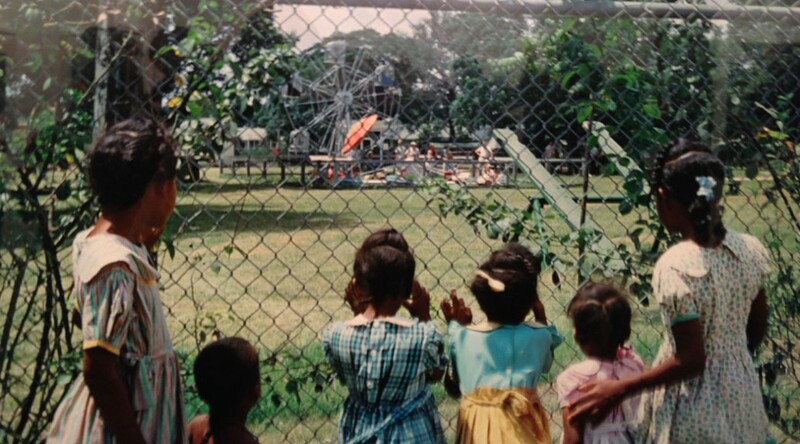 In the photo, six black children face a chain-link fence, peering at a park on the opposite side. Two of them clutch the gate, hoping to gain access. But because of segregation, they can’t–they all simply stare at the well-tended park and its white occupants. Parks’ photograph, “Mother and Children,” illustrates that point, depicting a black mother standing on the porch of her wooden shack in Mobile, Alabama, with her three shoeless children surrounding her. The unkempt lawn is strewn with scraps of tin and aluminum. The picture conveys the impoverished and segregated reality of black family life in the rural south at the time. While Hoffman said things have improved for African-Americans since the Civil Rights Act of 1964, she added that more needs to be done to help minorities. Hoffman also said that while the exhibition won’t necessarily curtail bigotry, she still intends to provide people with a more balanced perspective. “If you are a racist, or have racist tendencies, maybe you’ll change your mind by looking at it by seeing the repercussions of such atrocities, to deny people the freedom that they’re entitled to,” Hoffman said. Another exhibit of Parks’ work will open at the Art Institute of Chicago in May.